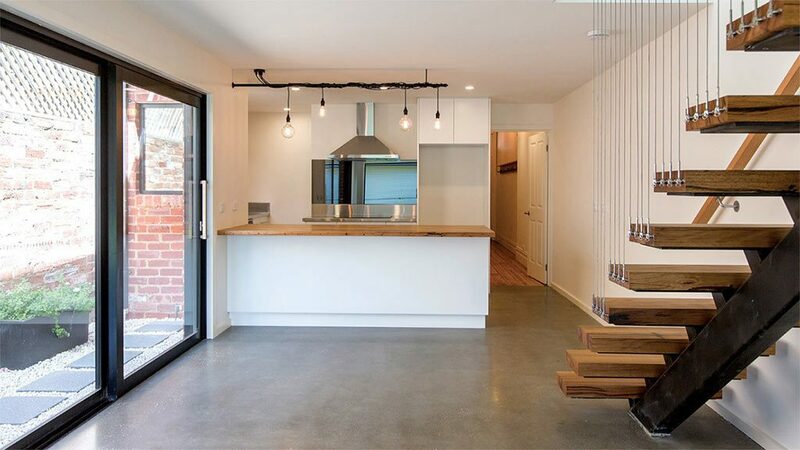 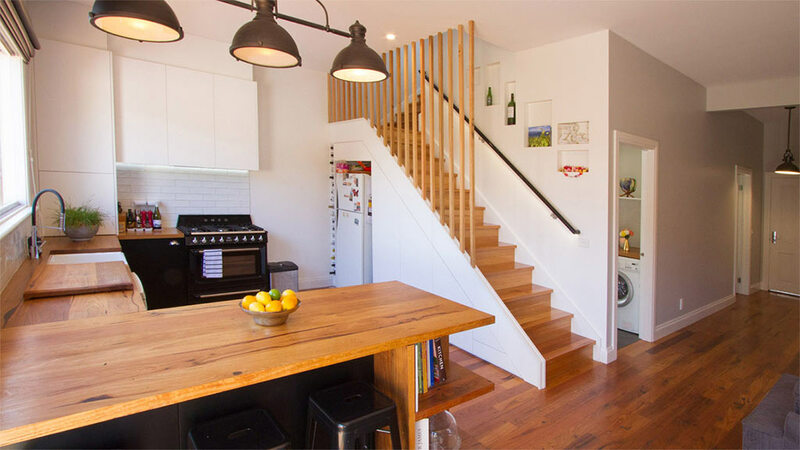 Our recycled Messmate blend stair treads are manufactured right here on-site. 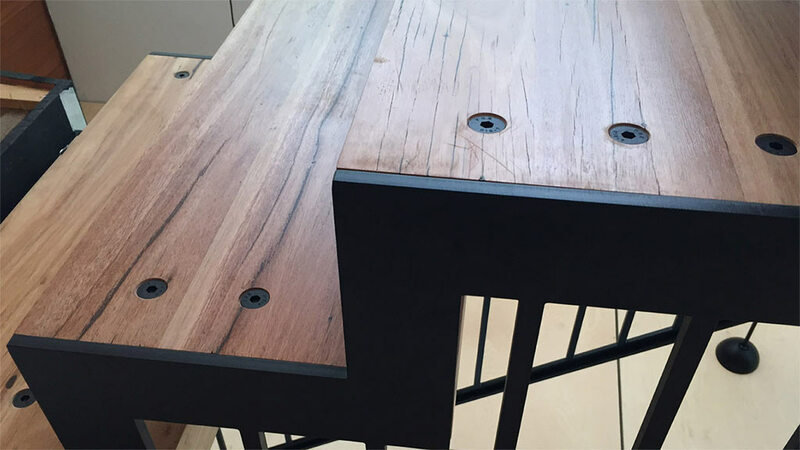 We also stock a range of other Australian species such as Blackbutt, Spotted Gum, Ironbark and Tasmanian Oak. 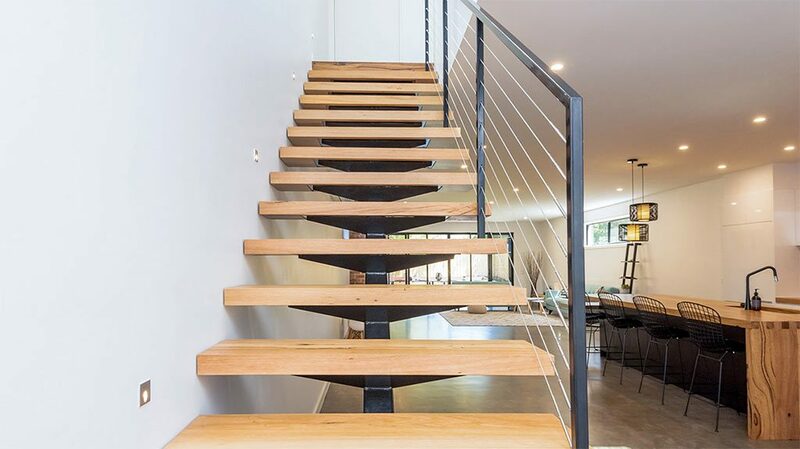 We specialise in custom treads for steel stringers, though the below gallery shows some of other stair tread styles. Our offerings include a plate rebating service as well as complete finishing in safety rated anti-slip products. 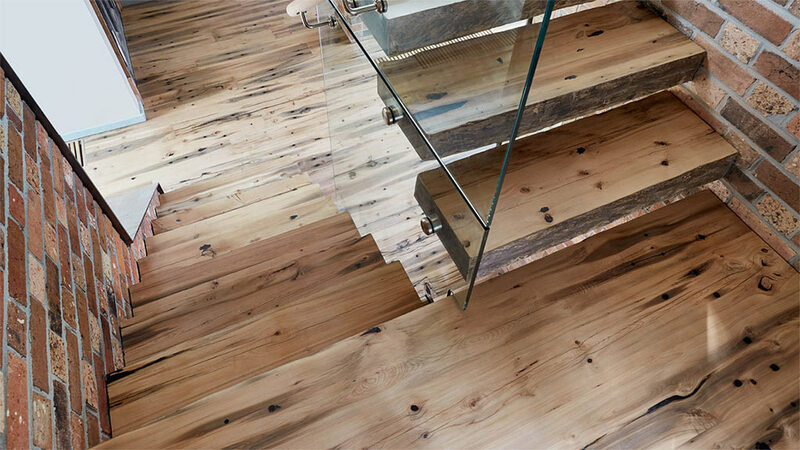 Tread sizes range from 240-300mm deep and can be produced in thicknesses between 19mm–60mm. 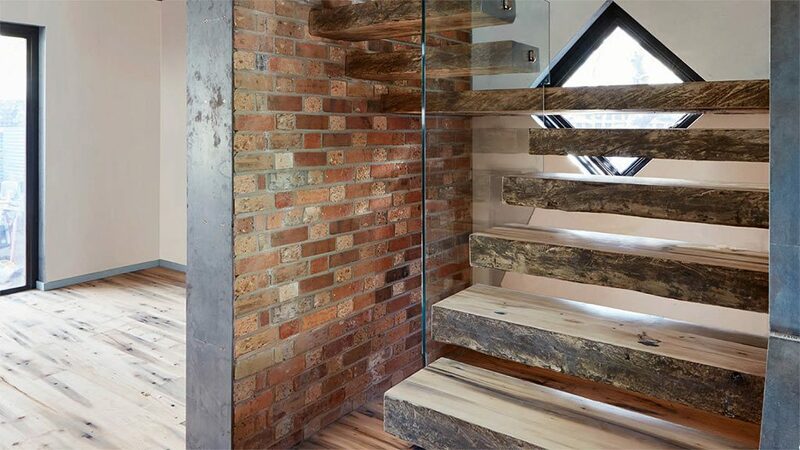 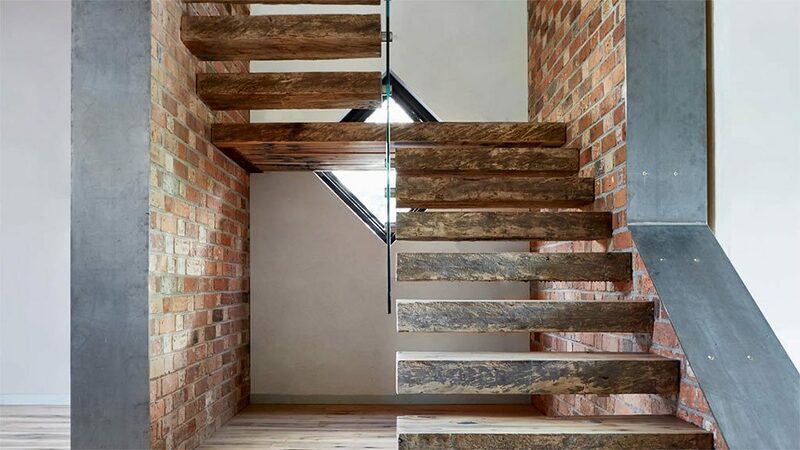 Below is a selection of our timber stair treads in action. 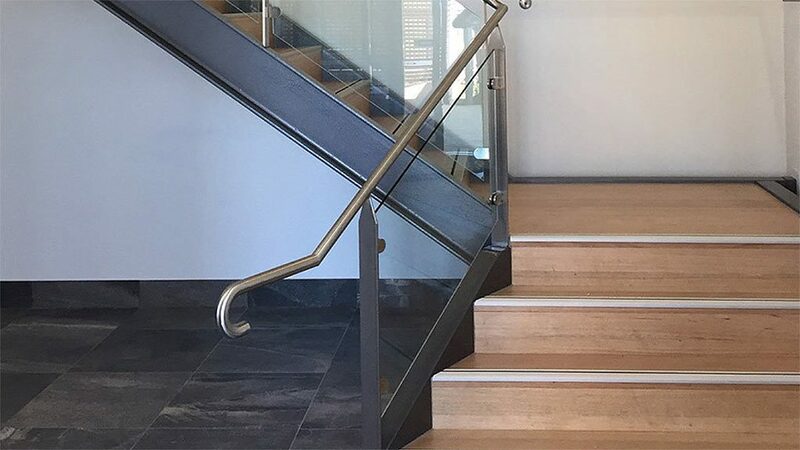 Check out our Instagram for the latest stair tread images or get in touch to discuss your project requirements.